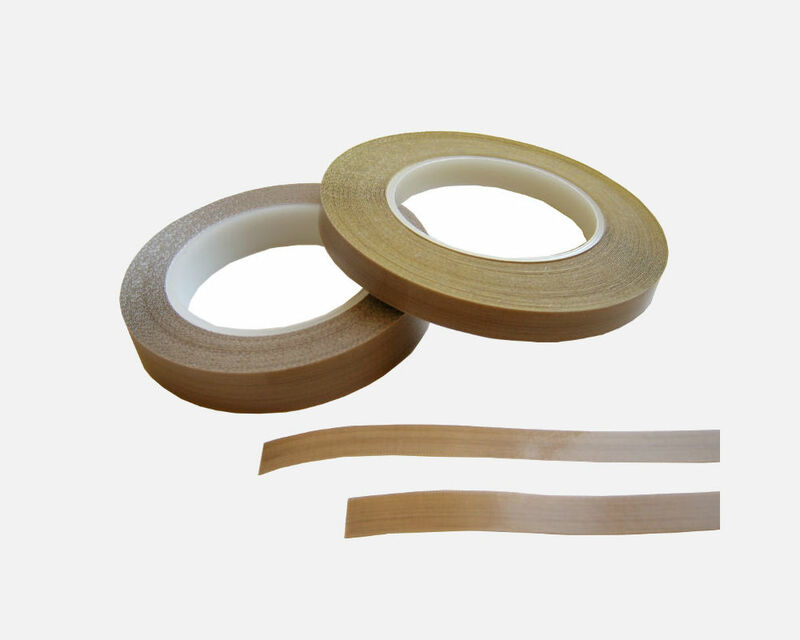 PTFE Adhesive — Sealer Sales, Inc.
PTFE adhesive is similar to PTFE cover except PTFE adhesive is equipped with a silicone adhesive backing. PTFE adhesive goes UNDER the heating element. 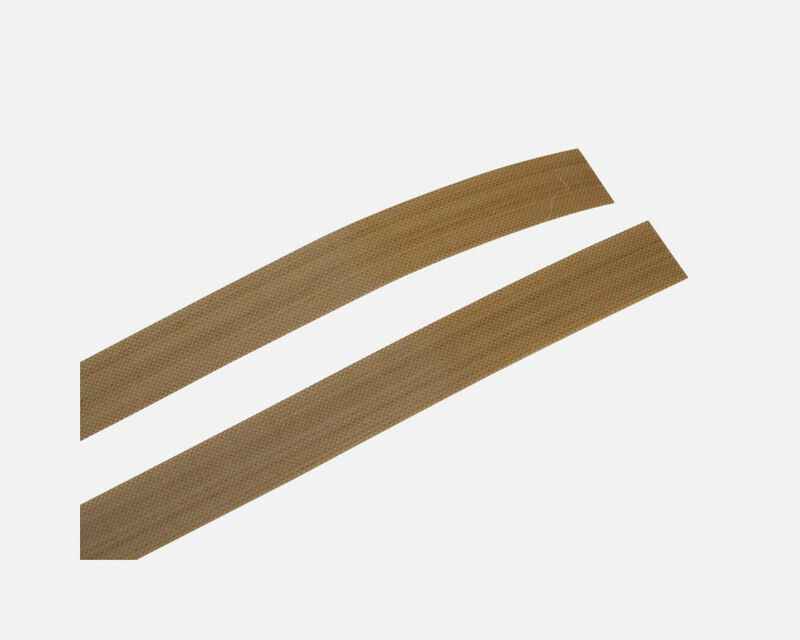 The adhesives are applicable for temperatures between -100F to 500F Fahrenheit (-73 Celsius to 260 Celsius). We carry widths of 1/2" to 2" in 3mil, 6mil, or 10mil thickness. Important: You must replace the PTFE adhesive anytime you change the heating element. The adhesive serves as a barrier between the heating element and the sealer. When the heating element has burned through the bottom adhesive and arc'ed on the sealer's body, the element will prematurely break. This can also cause damage to the timer. 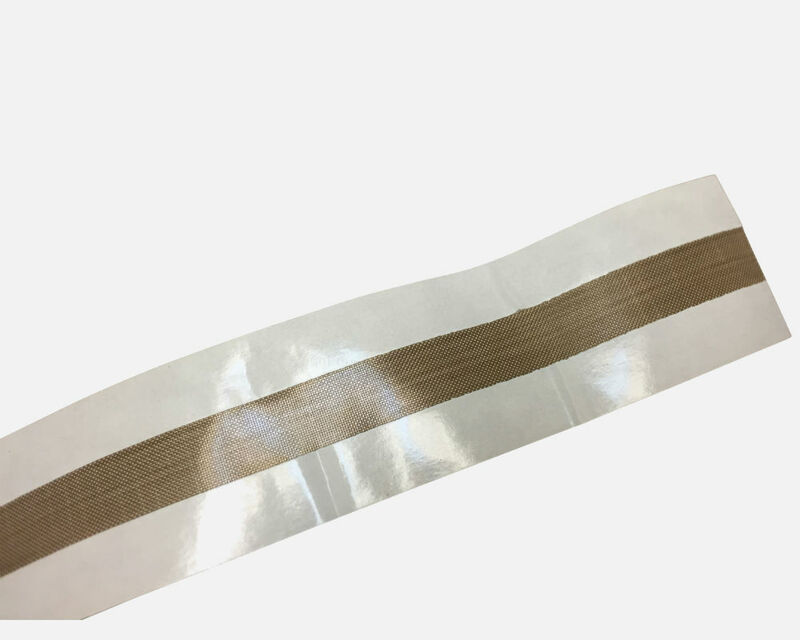 When you replace the adhesive, make sure the adhesive is 1/4" - 1/2" past the machine on both ends to prevent the heating element from coming in contact with the sealer's body. Cut Piece: 1 1/2" x 8"